Fear of Donald Trump is a powerful force. The US president’s erratic and vindictive style of foreign policy has, for example, brought the presidents of North and South Korea to the negotiating table out of sheer fear of a possible US military intervention. More recently and on the other side of the world, fear of Trump is having an impact on Germany’s chancellor Angela Merkel. After many months of delays, she finally set out her position on EU reform. 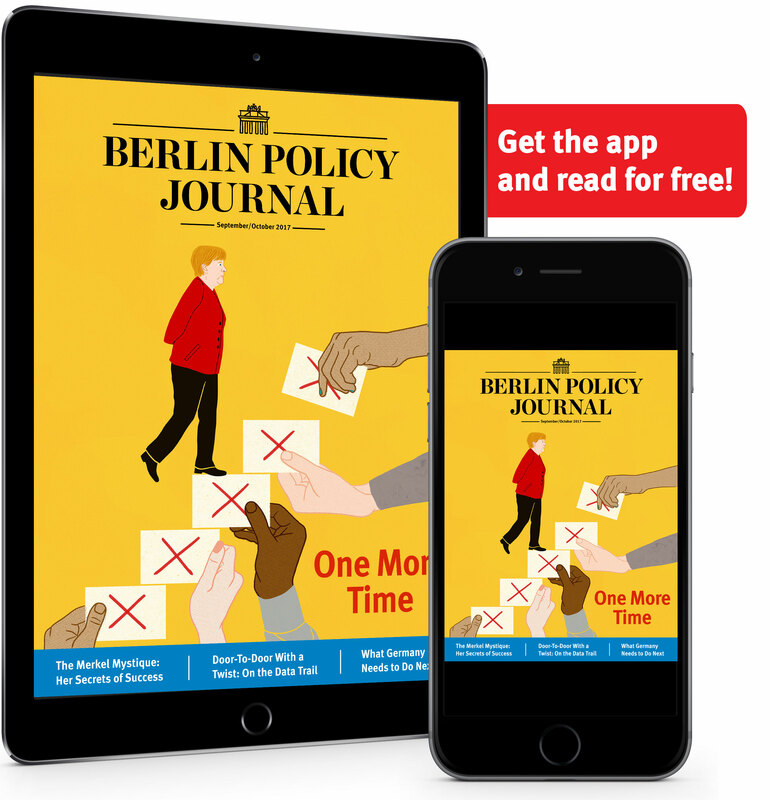 In an interview with the Sunday paper Frankfurter Allgemeine Sonntagszeitung (FAS) [paywall], the German chancellor explained her ideas on reforming the eurozone and creating a common European asylum and defense policy. Merkel’s approach is just as sober and cautious as one might expect, but at least it’s there, and in time to cobble together a Franco-German proposal for the next EU summit at the end of June. The French President Emmanuel Macron, who recently celebrated a very public friendship with Trump, must be sighing with relief. Of course, it’s not all about Trump. Merkel was already under pressure to come up with a proper answer to Macron, who has spent a lot of political capital on EU reform. Germans like Macron and his visionary courage, and they don’t want their chancellor to let him down. 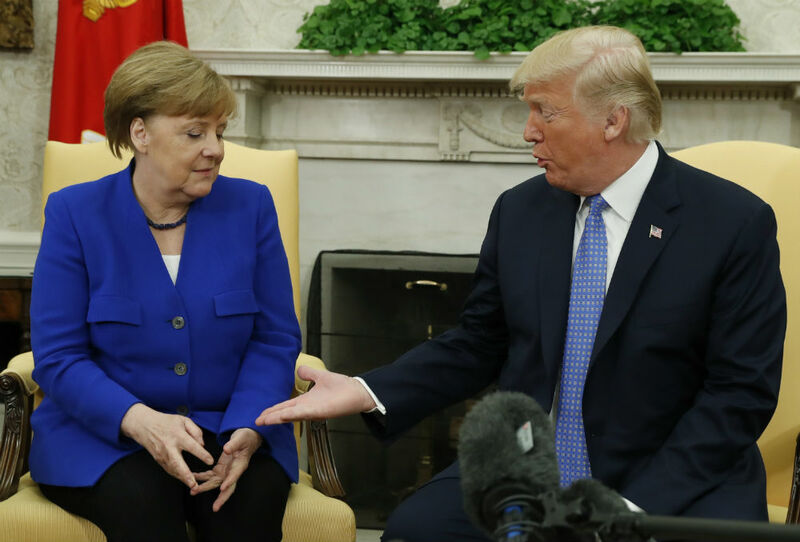 But arguably, it is Trump who has driven home the most important lesson for Merkel: with him in the White House, she needs Europe even more than Europe needs her. Of all the leaders in the world, it is Merkel that Trump has taken a particular dislike to: because she worked closely with his predecessor Barack Obama; because she refuses to flatter him; because after his election she was hailed as the new leader of the liberal West; because German exporters are so successful; because Germany doesn’t spend enough on American armaments; and, probably not least, because she is a woman. Trump received Macron with great pomp in Washington in April; Merkel, visiting two days later, was scheduled in as a simple working appointment. Under other circumstances, Merkel might have been happy enough to escape a black-tie dinner at the White House, but the snub must have hurt. Much more painful, however, are the policy issues. Trump’s unwillingness to clearly confirm NATO’s mutual defense agreement leaves Germany feeling more unsecure than in many years. At the same time, the American president is contributing to the destabilization of the world – moving the US embassy in Israel from Tel Aviv to Jerusalem is one example, tearing up the nuclear agreement with Iran another. In dealing with Germany, the US administration is not limiting itself to foreign and security policy. Trump’s brash new ambassador to Berlin, Richard Grenell, made headlines by announcing that he wants to “empower” anti-establishment conservative movements across the European continent and criticizing the “failed policies of the left”—a sharp break with diplomatic tradition, as ambassadors usually stay out of the party politics of allied states. Grenell was asked by the German government to explain his remarks. But Trump’s sharpest tool for getting at rival countries like Germany is trade policy–first with additional import tariffs on steel and aluminium, and now with the threat of levying an extra 25 percent on auto imports. 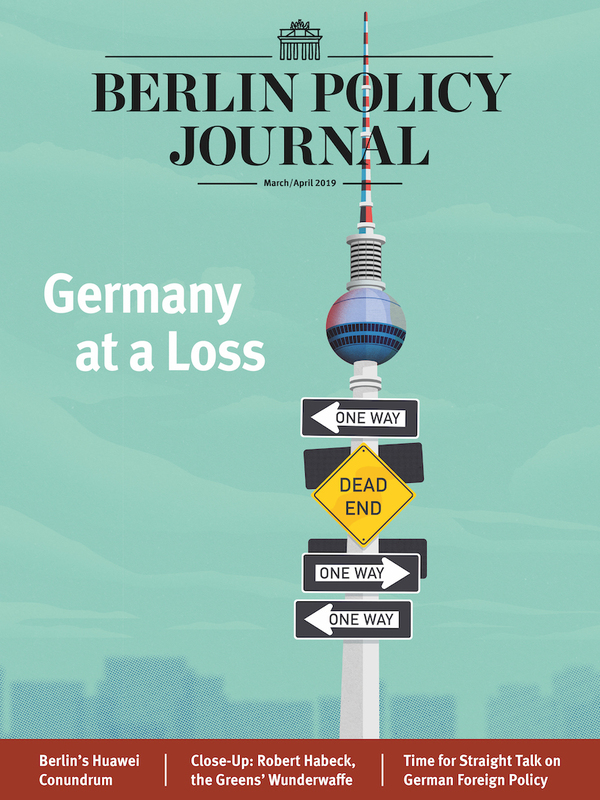 No industry is as central to the wellbeing of Germany’s economy as the automobile industry; this comes close to a declaration of economic war. On trade, Germany clearly needs Europe to remain united – and it is doing so, so far. EU Commissioner Cecilia Malmström has the backing of all EU countries for lodging a complaint with the World Trade Organisation and imposing retaliatory tariffs against Washington. But Trump has a sharp instinct for the fault lines. Bilateral deals have already become a huge temptation. Just take the example of Warsaw, which reportedly offered to pay the US up to $2 billion for permanently stationing a heavy division in Poland. Such deals could spell the end of NATO. „In today’s uncertain times, Europe must be able to act at any time,“ Merkel said in her interview with FAS to explain why she was joining the drive to reform the European Union. On defense and asylum, her proposals for a common European intervention force and a joint European migration agency will go far to satisfy Macron, even though it will be difficult to get the rest of the EU on board. On the thorniest issue of all, eurozone reform, Merkel’s cautious offerings on setting up a European Monetary fund and creating joint funds for investment and short-term debt relief are certain to disappoint Macron. Here, of course, Merkel’s own conservative bloc is very hesitant. The huge spending plans of the new Italian government have not encouraged Berlin to become more generous. Yet Merkel also knows that in its current shape, the eurozone may not be able to withstand another crisis.